The real estate industry, albeit being a massive one chalked with constant opportunities, can also tend to be rather fickle. With the power and convenience of online listings, potential buyers can view a property’s details on their own time and at their own convenience. While the real estate shopping process might be easier than ever, online listings also create problems for a Southern California real estate agent here in Los Angeles. Even if a prospective buyer is interested in a particular listing, a few dimly-lit photographs and a description of the property are not enticing enough to get them to actually come tour the property in person. This has become such a common problem in the real estate industry that companies need innovative real estate marketing solutions. Fortunately, backed by years of real estate industry experience, Jonathan The Drone Guy realized this need. Specializing in real estate drone photography and videography in Santa Monica, Pasadena, San Fernando and the greater Los Angeles area, Jonathan is able to create a brief yet stunning and immerse “virtual tour” of your valuable real estate listing. So, as opposed to creating a vague mental image through a series of photographs, your prospective buyers will be able to get a real sense of the entire property with one click. This is the new standard of real estate marketing, and it really is as easy as a simple click for your clients! 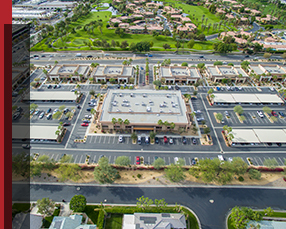 There are many reasons why real estate drone photography is cost-effective and valuable for driving conversions. From rental listings to full-on, luxurious beachside properties, let’s dive into some of the many benefits of drone-powered real estate marketing with Jonathan The Drone Guy. To learn more about the various industries that Jonathan works with, visit here. Quality real estate drone photography and videography start with…well, a quality drone operator! Jonathan has been fascinated by flying from a very young age, and began flying real planes at the age of 15. After years of experience flying small RC helicopters and other aircraft, he decided to leverage his passion for flying and combine it with his real estate management experience. As a result, Jonathan The Drone Guy is a fully-insured and fully-FAA-licensed drone operator who offers turnaround times that are virtually unheard of in the real estate marketing industry. With a number of favorable testimonials to prove the quality and expedience of his services, utilizing Jonathan’s real estate drone photography services as a real estate professional makes more and more sense. The beauty of real estate drone photography is that, when you enlist Jonathan’s drone operator services, he can customize your video or photo footage to be exactly what you want it to look like. If there’s a certain aspect or feature of the property that you wish to highlight – indoors or outdoors – Jonathan is the real estate marketing solution for you! Can you guess at how expensive it is to rent a helicopter for a few hours? Really, you probably don’t even want to know. Drone photography – for real estate agents, in particular – is a cost-effective way to film a property or take high-quality images. Now, while you can take the initiative to purchase your own model of drone and learn how to pilot it yourself, Jonathan’s real estate drone photography services do all of the work for you. By taking the guesswork and hassle of obtaining strict FAA-certification out of the picture (check out Part 107 of Title 14 of the Code of Federal Regulations (14 CFR) if you don’t think this is a big deal), you can save valuable time as a busy Los Angeles real estate professional. So, rest assured knowing that all of your listings are professionally and expertly documented, showcasing your property’s high points and providing prospective buyers with a virtual tour that you just can’t capture without a drone. The best part? Jonathan will provide you with an industry-leading 24-hour turnaround time on his video services, as well as an instant turnaround time for pictures! Backed by a 5-Star Yelp Review reputation, you’ll get the quality real estate documentation and marketing services that you’re looking for in a fraction of the time that it takes the competition. 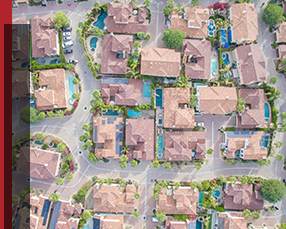 Naturally, successfully and lawfully operating a drone for commercial purposes is more complicated than these relatively simple guidelines, but this information should provide Southern California real estate professionals with more context about the importance of drone regulations and considerations. Again, the beauty of working with Jonathan The Drone Guy is that he’ll take care of everything drone-related for you! While Jonathan works hard to bring you the very best in real estate drone photography services, you can focus your time and efforts on other pressing matters as a real estate professional. Really, it’s a win-win situation. It’s hardly any secret that Southern California boasts some of the world’s most beautiful and scenic beachside properties in the world. As a real estate agent in San Fernando, Pasadena, Santa Monica and other Los Angeles communities, it only makes sense that the best luxury real estate listings deserve the best coverage. When it comes to visual impact and advantages of using drone photography, luxury properties tend to benefit the most. Buyers of multi-million dollar homes often shop online first, and they’re expecting high-quality photography and video featured in the online listing. What it really comes down to is, if these videos and photos aren’t there in the listing, you’ve effectively lost a lead. 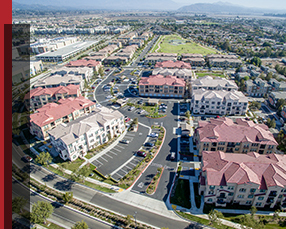 Really, it’s hard to argue that in the luxury property market – especially in Southern California, of all places – real estate drone photography and videography have upped the real estate marketing game in a big way. Fortunately for you and your real estate business, Jonathan has taken action and created his own drone-based photography and videography service. All you have to do is get in touch with Jonathan The Drone Guy! Recently, the National Association of Realtors even went as far as compiling a Field Guide to Drones and Real Estate. It’s worth taking some time to check out as a real estate agent looking to take your marketing to the next level. You can view the guide here. Newsflash: drones are here to stay. That’s a bit of a funny statement considering that drones are also going places, but what we mean is that the technology powering drones is far from obsolete. Using drones for real estate photography purposes will only become more commonplace in the near future. Whether you’re more of a do-it-yourselfer and you’d prefer to fly a drone on your own or you’d rather have Jonathan do an expert job and take care of the technical work for you, the reality is that drones are the future of photography and videography. So, if you’re considering using drones for real estate photography, be ready for it. In fact, you might be one of the first in your immediate area to offer your clients this unparalleled level of real estate listing documentation. Indeed, leveraging Jonathan’s real estate photography services will make you stand out from the competition, adding a serious “wow” factor to your real estate marketing. Now, we might be a little biased when it comes to recommending Jonathan The Drone Guy and his real estate drone photography services, but hear us out! There are several reasons as to why you don’t want to start taking drone shots on your own on day one. For one, it takes many hours – weeks to months, at the very least – of dedicated practice to learn how to fly and take great shots in 10-minute flights. To get a good handle on drone photography, you must be able to replicate quality aerial photographs time and time again. 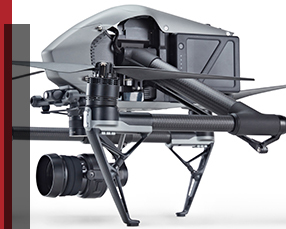 Second, in the United States, you must obtain an FAA UAV operator’s certificate (per Part 107 as linked above) in order to legally fly a camera drone for real estate marketing purposes. While this is entirely possible to achieve, it’s a time-consuming process and easier said than done. And third, you might actually be surprised at how much you can learn as a real estate agent by hiring a professional drone photographer like Jonathan. Seriously, by just talking, watching and listening, you’ll come away from the real estate marketing process with a little more perspective, context, and insight behind your work. Jonathan might not give away all of his industry secrets as he photographs your property in question, but hey, he’s a friendly guy and more than happy to chat about the real estate industry with his clients. After all, Jonathan does have a real estate background! So, again, are we biased when it comes to real estate drone marketing? Perhaps, but we also firmly believe that we’re the best at what we do. Not only does Jonathan possess extensive drone experience, but his career background in the real estate industry paired with his ongoing passion for multimedia production makes him the ideal candidate to market your real estate listings. Don’t let another potential home buyer gloss over your real estate listing just because your photos weren’t high quality. Take the stress and hassle out of real estate marketing and let Jonathan The Drone Guy do the real estate drone photography and videography for you. 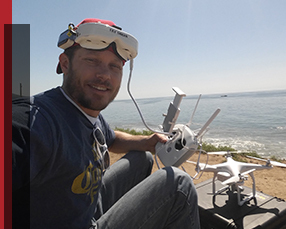 Elevate your real estate marketing experience today by contacting Jonathan The Drone Guy!